This is unfortunate, as they are not just fantastic in and of themselves, but they reveal an entirely different side of Sibelius’s genius. 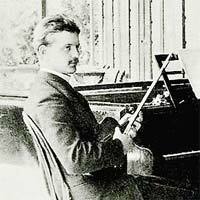 Jean Sibelius had a great love for the violin; in his younger days his life’s goal was to become a world-renowned violin virtuoso. He built up a respectable technique, and went so far as to audition for the Vienna Philharmonic in 1891 while living in the city. While Sibelius’s career as a violinist never materialized, the idea seems to have haunted him for many years, even after he definitively turned toward composing. As late as 1915 he recorded in his diary that he had a dream of being twelve years old and being a virtuoso (curiously, this was just as the Humoresques were taking shape in his mind). Sibelius’s love and long familiarity with the violin give him a thorough understanding of its possibilities, and indeed his works for solo violin and orchestra are some of his most inspired works. The Violin Concerto is the most familiar example of his skill in writing for the instrument, but the Humoresques are no less a stunning testament for his love of the violin. A young Sibelius, with dreams of becoming a violin virtuoso. Contrary to the famous Concerto, the Humoresques are intimate and playful. One of the first words that comes to mind listening to them Humoresques is charming—a word not usually associated with the Finnish composer. That said, it is a mistake to think of them as simply lightweight truffles. In music, as in all human relations, “charm” simply isn’t enough to hold your interest over the long-term; mercifully the music goes much deeper. Below the surface, there is an undercurrent of Nordic introspection that gives them a sense of richness and hidden meanings. Plus, these charming miniatures are fiendishly difficult to perform, requiring hair-raising virtuosity to bring them to life. Beneath their amiable exterior beats a heart of steel! Individually, the Humoresques are fragmentary and whimsical—they feel like short wisps of ideas that didn’t fit anywhere else, but were far too good to abandon altogether. But they are never random. Each idea is fully realized, and makes its point crisply and economically before giving way to the next. There is no through-line tying them together other than Sibelius’ love for the violin and his expert knowledge in making it sing. But this unity is enough, and together they nearly constitute another full concerto. 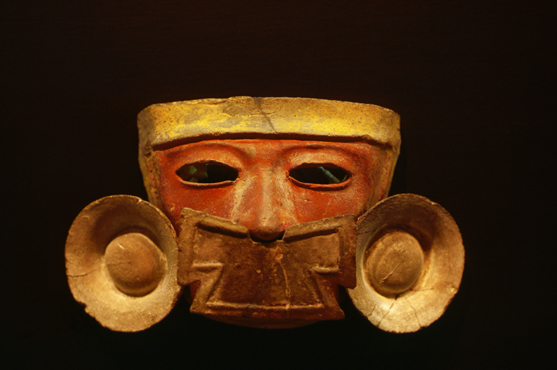 The Humoresques were published into two groups: Two Humoresques, Op. 87 and Four Humoresques, Op. 89. Sibelius indicated, however, that they ideally should be performed together into a whole. Sibelius begins the cycle in an unexpected way, creating a whimsical, almost haunting dance. Curiously, the First Humoresque’s (D minor) mood and overall structure seems to point in the direction of Sixth Symphony. The solo part is brilliant, but seems more personal, introspective character than the Concerto—in part this may be because of its surprising phrase lengths, which give it an improvisational feel. Overall, the image I’m always left with is the gentle twilight of a midsummer’s evening up in the far north. The Second (D major) presents a sharp contrast—it is a virtuosic thrill-ride that brings to mind a Nordic Paganini. It is curious to see the connections between this movement and the Violin Concerto. Similar to the Concerto, Sibelius presents a swirl of rapid-fire scales and acrobatic leaps, but here they are presented within an overall feel of delicacy and grace, as if soloist is simply unwinding with some friends, away from the pressures of the concert hall. The character changes yet again with the Third Humoresque (G minor), which resembles a French gavotte. But it’s almost as if the soloist is a court musician improvising off a formal dance… if not parodying it. There’s a middle section that feels like a slippery slide of a dancer who’s had a bit too much to drink, and is hilariously trying to hold onto their dignity and balance at the same time, before a return to main section played with elfin mischief in the violin’s upper register. With the Fourth Humoresque (G minor), Sibelius provides a lyrical interlude that gives us a chance to relax. It is gentle and flowing, with a twinge of… melancholy? Sadness? Or simple dreaminess? There is no time to decide—the soloist suddenly snaps back from his or her reverie, and ends the work with a flourish. The Fifth (E-flat major) is a raucous and flat-out funny, with its chirping cuckoo calls and a strutting tune that’s particularly memorable. Then in a moment of pure magic, the violin appears to actually whistle, adding to a sense of jaunty fun. Once again, the solo part is fiendishly difficult, not just because of the technical demands, but the fact that the performer needs to navigate the intricacies while maintaining the overall character of the piece, bringing out its humor. Curiously the set doesn’t end with a show stopping bang, but with a note of repose. The Sixth Humoresque (G minor) brings the suite to an extremely introspective conclusion. But even though the music seems straightforward and relaxed, it places intense demands on the soloist. Once again, several sections of the music seem to bear a close kinship with the more famous Concerto, but Sibelius’s take is completely different. While the Concerto is bold and heroic, the Humoresque is delicate… even restrained. In the last moments, the solo violin gathers itself up and soars to the heavens; it is a magical end to a magical work. As part of the 150 Sibelius Jubilee, the Minnesota Orchestra will be presenting a rare performance of these gorgeous works on November 5 and 6. Osmo Vänskä conducts, with Henning Kraggerud as the featured soloist. Tickets are available here, and I cannot urge you strongly enough to come out and hear this concert! Kippis! This entry was posted in 150 Sibelius Jubilee, Minnesota Orchestra, Musical Commentary by Scott Chamberlain. Bookmark the permalink.